Newspaper Rock: Indians are "whiners," not warriors? We are told that such costumes and mascots psychologically traumatize and lower the self-esteem of the so-called natives, which in turn hinders their performance in modern society. 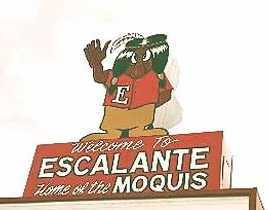 In fact, the American Psychological Association issued a 2005 resolution that called for the “Immediate Retirement of American Indian Mascots, Symbols, Images, and Personalities by Schools, Colleges, Universities, Athletic Teams, and Organizations.” The APA argued that such team names and logos create hostile environments that are disrespectful and possibly violate Injuns’ civil rights and need to be “eradicated” before this historically underperforming group can reach upward and maximize its innate potential. This past May, the state of Oregon passed a measure that would soon cut funding for any school teams that continued to employ Native American imagery. Personally, I liked the Injuns more when they were bold and noble warriors than thought-policing whiners. They seemed far more…honorable? But sure, let’s focus on the kooky mascots and the team names and the foam tomahawks. Let’s never dare mention the gas-huffing and the fetal alcohol syndrome and the drug use and the teen pregnancy. Let’s never ask why these once bold and noble warriors, despite decades of federal payouts and tax breaks, still seem incapable of thriving in a modern technological society. Don’t ever question the wisdom of bringing arrows to a gunfight. Don’t dare search for cultural and possibly even genetic reasons for why the Indians always seem to get the short end of the firestick. It’s obvious that the kooky mascots and the team names and the foam tomahawks are to blame.Comment: Goad's last paragraph doesn't address his third-to-last paragraph, where he accurately summarizes the problem. Research shows that mascots psychologically traumatize Natives. Goad can't touch this point, apparently, so he switches to a list of social problems, most of which are caused by psychological trauma. It's not exactly a crushing argument to say we should ignore the mascots that cause psychological trauma because there's a lot of psychological trauma. Better luck next time, bright boy. Also note how he scorns the Natives he supposedly admires. "Injuns"..."war whoops"..."drum beat"..."so-called natives"..."firestick"...etc. He liked Indians when they were safely in the past, vanishing or vanished, and he didn't have to think about his genocidal ancestors or racial bias. Well, boo-hoo, bigot. Sorry if today's Indians don't conform to your stupid stereotypes. Goad's last paragraph is full of false or misleading statements. Most Indians live off the rez where they're "thriving in a modern technological society" just fine. The Native media talks about drug use, obesity, alcoholism, teen pregnancy, gangs, suicide, and other social problems often--several times a week. Goad is more ignorant than he seems if he thinks he's the only one willing to discuss these issues. Indians added guns to their repertoire of weapons whenever they could. They didn't always have access to guns because the white men tried to keep guns away. But it's silly to imply Indians chose to use bows and arrows because they were too primitive to know better. "Genetic reasons for why the Indians always seem to get the short end of the firestick" means Goad thinks Indians may be genetically inferior to others. They can't thrive in the modern world, they didn't understand the value of guns...he's practically saying they were born to be uncivilized louts. You know, animal-like brutes who were too stupid to survive against smart and sophisticated white men. In other words, he's practically admitting his prejudice against Indians as a race. Goad's repeated use of "Injuns" is more of the same. This epithet serves to belittle Indians--to make them seem childlike and cartoonish. As in "Ten Little Injuns." The commenters on this column make Goad's racism even more explicit. Here are a few examples and my responses:You have obviously never lived on a reserve. I have. They are mostly very drunk, sadly very lazy, and seemingly quite unintelligent. I'm sorry, but should all the whites and other races leave north america tomorrow within a decade they'd be back to running around naked cannibalizing each other.You wouldn't romanticize Indians? That's obvious from your "naked cannibalizing" line. Which clearly indicates you think Indians are inferior. Racist much? If all the non-Indians left, the 70% of Indians who live off the rez would continue working as doctors, lawyers, teachers, scientists, business owners, politicians, etc. They'd have no more problem running the country than any other small group. Again, if you think Indians were savages and are lazy drunks, you're a racist.I get sick and tired of people complaining about Indian mascots. My beef with them is that they are too generous toward Indians. "The Atlanta Braves"? How about the "Atlanta fat, drunken wasters lazy good for nothings who wait all month for their casino check so they can drink it down that night"? It's a little bit long, but it's a more accurate description of the Indians I met in Arizona. Seriously. The Braves and Red Skins logos are the best face one can put on an Indian. Chief Wahoo is simply fun. An insult? Yeah, who names their teams for something they hate and denigrate? Team names are always something that the team wants to associate itself with: nobility, ferocity, prowess, speed, fighting spirit. There are very few exceptions to that rule, and Indians, Redskins, and Braves aren't among the exceptions. These people are pussies.How about the "Atlanta fat, drunken wasters lazy good for nothings who wait all month for their casino check so they can drink it down that night"? How about you're a racist? "The Braves and Red Skins logos are the best face one can put on an Indian"? You mean better than the faces of Will Rogers, Jim Thorpe, Wilma Mankiller, Dennis Banks, Elouise Cobell, Billy Mills, Ben Nighthorse Campbell, Sherman Alexie, Winona LaDuke, Vine Deloria Jr., Louise Erdrich, John Herrington, Maria Tallchief, Graham Greene, N. Scott Momaday, Tantoo Cardinal, and millions of other modern Indians? Thank you for your racist opinion. "Who names their teams for something they hate and denigrate?" Who creates movies, TV shows, books, plays, songs, commercials, and ads that alienate audiences? Americans, apparently, since we had a century or two of productions featuring Uncle Tom, Aunt Jemima, Mexican peasants and banditos, Chinese coolies, Japanese geishas, drunk Irishmen, Italian mobsters, penny-pinching Jews, dumb Pollacks, towel-headed Muslims, effeminate gays, and on and on. Nobody thought these blatant stereotypes were offensive at the time. Same with our one-dimensional view of Indians as savage killers. Every other racist stereotype has gone by the wayside, but the out-of-date "redskin" remains. Rob doesn't know Indians?How about you visit an area heavily populated by Indians and see that I'm not making it up? I invite you to go teach on the Rez for a year or two. I used to fall for the myth. Maybe the desert heat cooked my brain, but I'll be damned if I didn't get a hell of a shock when smashed in the face with the overwhelming evidence. Maybe you'd rather stay in your romantic universe where Ol' Chief sees pollution and a tear rolls down his cheek. Dream on, son.How about if you visit several dozen reservations as I have and see their wide variety? Or if you work in the Native media as I do, reading dozens of stories every day about Indian life across the country? How about if you interact with thousands of Indians in person and online over 20-plus years? I invite you to learn that 70% of Indians don't live on reservations, so your point is largely irrelevant. You people who talk about reservations seem blissfully ignorant of this fact. I'm aware that many reservations are still poor. I'm also aware why they're poor. Apparently you're not, since you're blaming the victim. But you keep asserting that your experiences on one reservation out of several hundred make you an expert--not only on all the reservations, but on all the urban Indians too. Again, can you say "racist"? Because I sure can. "Overwhelming evidence"? Good to hear you've got evidence for your views. Okay, what percentage of the roughly 5 million Indians are alcoholics? What percentage are unemployed? What percentage receive casino checks? Cite and quote your sources. I sure hope the numbers are greater than 50%. If they aren't, you've mistaken a small minority for the whole. Which would make your beliefs ignorant, stereotypical, and racist.Do you know any American Indians who were pushed off "good" land? Neither do I, but I *do* know white farmers who bought their "good" tribal land off very eager tribes. In the last 50-100 years no one has robbed the American Indian of his land more than himself. Why farm when you get a free house and $80k a year from the government? Yet many reservations still look like Road Warrior.Which Indians get $80K? Name exactly which individuals or tribes you mean. Indeed, feel free to offer a shred of evidence for this spurious claim used to justify your racism. I know that white men broke every single one of the 400 treaties they signed with the Indians. I know how the Dawes Allotment Act declared something like 90% of the Indian lands "surplus" and gave them away to white men looking for a government handout. Do you know these things? Random bits of ignoranceThe Injuns never knew an age that wasn't dark.If you call a dozen large-scale civilizations "dark," I guess.Here's how the Indians lived in the 1800s, courtesy of Mark Twain. The Noble Red ManYou mean the Mark Twain who was notable for his racism against Indians? Mark Twain, Indian HaterAll you say is true sir...but mascots are not your big problem. Indian mascots are used, by the way, because of their positive attributes. Careful what you wish for. If all native american imagery is forcibly removed from the public view and consciousness then we'll forget about you entirely or be replaced by the casino slot machine...The notion that mascots are the only thing keeping Indians in our collective consciousness is idiotic beyond belief.